Cellulite is a skin problem that can affect anyone, including men, women and children. However, women are often affected the most, with 95% of all women suffering from this condition to some extent. It is visually characterized by bulging, pitted, wrinkled, and dimpled skin on the abdomen, buttocks, hips, and thighs which occur due to fatty deposits that are concentrated in these areas. Symptoms of cellulite include a feeling of sagging, tenderness, or tightness in the affected areas, particularly while standing. The image on the right shows a woman suffering from cellulite. The right side of the image shows the same woman after the effects of cellulite have been reduced. The female hormones Progesterone and Estrogen are the main causes of Cellulite. The Estrogen hormone promotes the formation and expansion of fat cells around the buttocks, thighs and breasts while Progesterone leads to the development of weak veins, fluid retention, and weight gain. Other contributing factors include smoking, stress, pregnancy, rough and harsh massages, obesity, lack of exercise, and genetics. The nutritional components of Apple Cider Vinegar have been known to help reduce the appearance of cellulite. 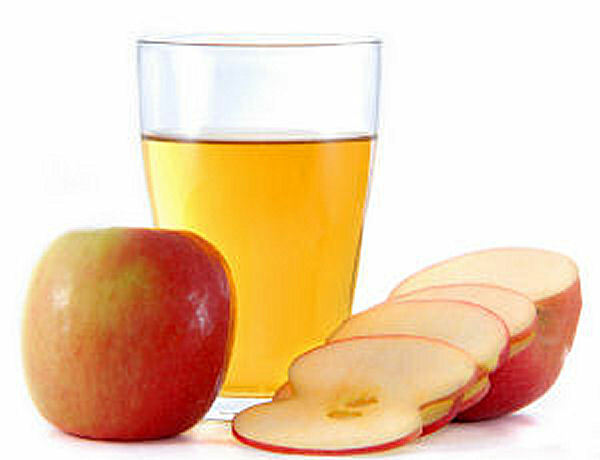 Mix 2 tablespoons of apple cider vinegar into an 8 ounce glass of water. Optionally add a small amount of honey as a sweetener. Drink this once each morning. Mix 3 parts apple cider vinegar with one part of your favorite massage oil. Gently knead this solution onto affected skin areas twice daily. This massage treatment will help to reduce the appearance of cellulite. Since cellulite is fat, excess weight can contribute to it. Therefore, physical exercises like walking or jogging, swimming, jumping on a mini-trampoline, skipping with a rope, and even yoga are all effective ways to control stress and reduce the appearance of cellulite. Other beneficial activities include weight lifting, martial arts, and dancing. Make a habit of exercising for at least 20 minutes per day, 5 days a week. This returns your body chemistry to a balanced state in which cellulite is less likely to develop. A low fat balanced diet plays an important role in getting rid of cellulite. Eat plenty of fiber and wholegrain foods (such as bran and oat cereals) since they help to remove waste and toxins from the intestinal tract. Fruits and vegetables such as asparagus, avocados, bananas, broccoli, and pears are all excellent foods that prevent the development of cellulite. Therefore try to eat at least 5 servings of such foods daily. Other beneficial things to add to your diet include fish oil, gingko biloba, and soy lecithin. These are very effective supplements that provide positive effects such as improving blood circulation, enhancing metabolism, and protecting against cell damage. Stay away from alcohol, sugar, smoking, and caffeine since these products constrict your blood vessels and may actually worsen the appearance of cellulite. Also, try to reduce your salt intake, since salt is known to contribute to water retention which promotes cellulite. Check out this video presentation by Joe Atlas that shows you some unique tips on how to reduce the appearance of annoying cellulite. This is based on true physiological science, and the secret involves a set of laser focused lower-body exercises call Synergistic Muscle Layer Stimulation that only take 20 minutes, 3 times per week. Click here to watch the whole video. In the past, I drank ACV straight out of a shot glass. I then visited my dentist, who said that the enamel on my teeth was wearing away. It's a good idea to mix ACV with another liquid and not drink it straight undiluted. For Cellulite, try squeezing a fresh lemon in a cold glass of water. You may also add natural honey or Stevia to sweeten it. I use seaweed soap from Baudelaire (Bath soap sea loofa) for cellulite. This soap works for me, try it. Priya Ahalawat, Please try one from the natural remedies for Cellulite suggested above on this page. Hope these remedies help! Please suggest some home remedy for my thigh and hips cellulite. I am fed up now. Okay, So maybe it is only me who would have vomited it out after the oral consumption. ACV actually didn't suit me, even after several attempts but since I HAVE TO get rid of the fat, would a massage help as much as oral consumption? ACV works like magic! After suffering from IBS, Candida, Yeast Infection, Constipation, uncontrollable cravings and mood swings for the longest time ever, now after usinng ACV, I can safely say I have my health back. Only started taking Apple Cider Vinegar a month ago and I feel like a million dollars. I love love love this product. Truly effective! I used DermalMD Cellulite Cream last year for about 5 months, it works great. You will see results within less than 2 weeks but it must be used 2x per day. I work in fitness industry so obviously I exercise frequently and eat well, even with all that some cellulite still makes itself known. I'm not gonna say that it gets rid of it 100% but it comes very close and is by far the best topical cream I have come across. I recommend using it with a cellulite brush daily as well for even better results. A little bit goes a long way especially if your skin is moist. I started taking ACV (Braggs, with the mother), mixed with locally produced raw organic unfiltered, unheated honey, and organic lemon juice (ReaLemon does not work) at the end of September 2015 due to severe excess stomach. First thing every morning, before eating, drinking, or brushing my teeth, I took 1 cup of warm (not hot) water, 1 TBSP ACV, 1 TBSP lemon juice, and 1-1/2 tsp honey. Within 2 days my excess acid problems were gone (after 36 years of taking some type of antacid every day). A side benefit I hadn't realized was, this drink also helps heal your gut, and helps your body systems (thyroid, adrenal) get back to normal. I have also lost 45 lbs since September 2015, a benefit I didn't know about! I have always followed a healthy eating plan, including exercise, but had not been able to lose any weight. 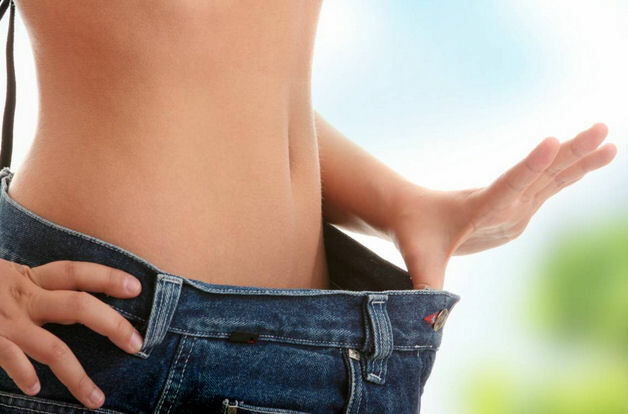 The weight loss happened very quickly at first, and has now slowed down to an average of 2-3 lbs per month, which is the better way to lose weight. I have to say, I feel like a whole new person! Many of my allergies seem to have disappeared. I did not have any episodes of pneumonia or bronchitis this past winter, where I would normally have at least 1 bout or more of each every winter, and sometimes also during other seasons.